Yesterday we shared a mammoth of a contest for the guys (and the ladies who love them), so today we return with a retailer contest for you ladies! The Art of Style recently announced their newest style giveaway, ‘REPost THE RUNWAY’, on Facebook, Instagram, and Twitter! 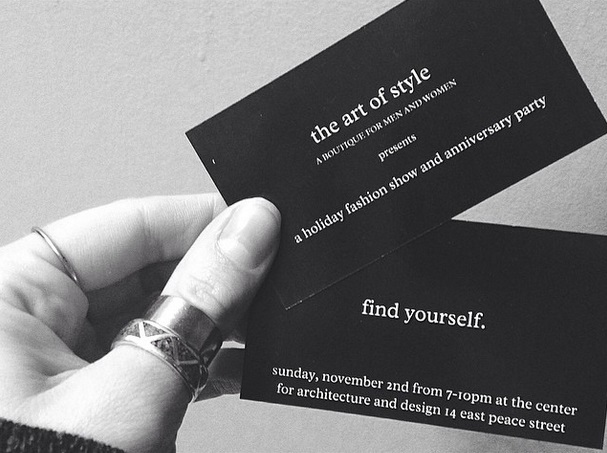 Through Nov. 2, the day of The Art of Style’s holiday fashion show, they we will be giving away a pairs of tickets and a $25 gift certificate to the boutique.